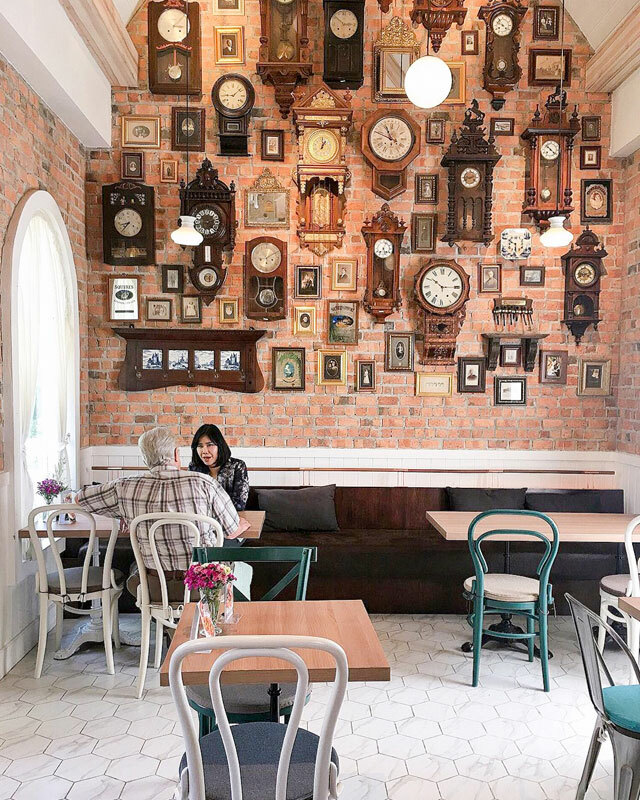 Known for its beautiful temples and natural sights, Chiang Mai’s cafe scene has also been growing over the years, popping up with fun and interesting cafe concepts from time to time. Imagine chilling on a nice grassy lawn under the night sky, jamming along with nice live music with your favourite latte in hand. Sounds perfect to you? How about enjoying some pastries while living the life of a Smurf for a day, taking photos at little clay houses in a quiet countryside, undisturbed by others? Now you can experience all these for yourself in Chiang Mai’s very own creative-themed cafes with our roundup of 20 cafes with unique dining concepts to liven up your daily cuppa. experience! Always wanted to visit a nature-themed cafe like Jungle De Cafe in Bangkok, but find it too crowded? In that case, you’ll love Fuk-Kaew Cafe! You’ll definitely spot the cafe from far, upon seeing the giant pumpkin house near the entrance. Located near a small waterfall, Fuk-Kaew Cafe has both indoor and outdoor areas for visitors to enjoy their drinks. The indoor area is cosy and clean, perfect for those who prefer admiring the scenery while hiding out from the sun. However, the outdoor area is the real highlight of the cafe, where you can chill and have your drinks on a small terrace within the lake, with a parasol providing you shade from the sun! Creatively furnished like a water playground, there’s also a small swing and a little bamboo boat for everyone to have fun in the water – perfect for families coming along with kids! Ahh…fresh waterfalls, beautiful greenery, and a cup of ice cold coffee…can the day get even better? Welcome to the Smurfs’ hometown (or the closest we’ve ever found to it)! Tucked away in the countryside, you can live the life of a Smurf in the little mushroom clay houses in Leafy Greens, away from the hustle and bustle of the city. At night, the place lights up, casting a magical atmosphere on the entire area, which is made even better with the tender steak and wine in the cafe! How does spending time in a little Japanese bamboo garden with some yummy mochi sound to you? If you like that, you’ll love Nekoemon, a small Japan-themed cafe with its very own bamboo forest and garden that looks similar to the famous Fushimi Inari Shrine from Kyoto! Step in and you’ll find bamboo trees along the pathway to the cafe, followed by a small, calm lake lined with rocks with a beautiful Japanese bridge arched over it. Inside, you’ll find a variety of delectable Japanese treats! From snacks (like Strawberry & Red Bean Mochi) to mains (like Tonkatsu), the food comes from homemade recipes by a Japanese chef himself – so you’re getting authentic Japanese dishes right in Chiang Mai! Don’t forget to try their iced drinks with the cutest 3D neko (meaning ‘cat’ in Japanese) coffee art to cool off from the afternoon heat! Love everything Matcha? This is the place for you. As the shop name implies (Magokoro refers to ‘true heart’), one can trust the friendly staff to make your visit an enjoyable one. Opened by a young couple in 2017, Magokoro Teahouse is the first Japanese teahouse in Chiang Mai that offers authentic Japanese teas and desserts like Matcha and Houjicha. Furnished with low roofs and earthy tones to make up the traditional Japanese teahouse, the cafe also has an outdoor area where visitors can enjoy the greenery and bamboo trees outside. Their menu has garnered many positive reviews for their high-quality teas and fresh desserts – and not to forget how they make for aesthetic Instagram shots – so you could afford to go a little crazier and treat yourself to a few more desserts! So let’s start by saying that I basically want, and need, to try everything on this menu. Not only is the food on another level, with some of the culinary world’s greatest classics on the plates, all presented beautifully, of course. As the name suggests, this place is all about antiques, which are all hand-picked and chosen by the owner’s father – who happens to be an avid antique lover with collectables from all over the world – and hence, the name. You can always tell when someone has taste, and here, you can see it all over the walls – excuse the pun… Beautifully designed and spaced, truly. They also make their own pasta, which changes the entire eating and food experience, if you’re a foodie like myself. All their pasta dishes are standouts and you have to try their Rotolo Bolognese and Lobster Fra Diavolo – done true Italian style – and their lobsters are imported fresh from the US every Friday. Other mouth-watering dishes to be tried: Chicken roasted with apple cider; Cheesy truffle fries; Asparagus and pork chop with a buttermilk mash and don’t get me started on the sweets! Creme brulee french toast, Triple chocolate cheesecake, no just stop it now! Kickstart your day with some delicious coffee from this little vintage trailer! Every day feels like a lazy Sunday morning at Trailer Coffee’s, with their iconic little yellow trailer serving up quality coffee made from locally-sourced coffee beans. The vintage decor and friendly staff make up a great atmosphere at the cafe, especially on Sundays where live music is provided! If you’re looking to grab breakfast here, you could also try their hearty noodle soups that tastes extra comforting in the cool morning. Art lovers unite! The great coffee and interesting art pieces at Thongma Studio will definitely pique your interest! Set in classic red brick walls with unique art sculptures and pottery pieces, Thongma Studio gives off the feeling of a small European museum. However, unlike usual museums, the cafe has a much more lively ambience, peppered with small potted plants and a small outdoor area full of lush, tropical plants! The artistic atmosphere here even extends to their coffee art, where lattes are decorated with the face of a mysterious woman resembling a goddess! Rabbit-shaped paper lanterns, Chinese vases, and colourful lamps and pillows, these are some of the knick-knacks you can find in Koland Cafe. Originally a Chinese-themed boutique, the cafe has expanded and included contemporary styles into their furnishings, such as chic lampstands, modern white wood table tops, and little potted plants. While the cafe may not be huge, the entire place looks interesting and lively, and the different decorations blend well together as a whole – to make for pleasing shots for your Instagram feed! An afternoon here can be fun and relaxing, exploring the different corners of the cafe while tasting delights from their menu offering Asian cuisines such as Chicken Rice and more! The first thing you should know about this cafe, is that it’s located in a secret terracotta arts garden surrounded by a high brick wall, and featuring Cobblestone paths, moss covered statues, the sound of trickling water and birds chirping – you’ll feel like you’ve just stepped right into a secret world upon stepping in. Statues of elephants, Buddha and other sculptures are scattered about the grounds that only add to the otherworldly garden vibes. The spacious outdoor area is filled with large wooden tables, chairs, and benches to create a tranquil environment – beckoning you to stay for hours on end. Definitely a great place to spend an afternoon sipping on iced coffees or Thai iced tea. We wear pink on Wednesdays, but at On Cloud Nine, pink is an everyday affair. With various Instagrammable photo spots here, your travel photos will look extra cute! The neon light decor and minimalist style ensure that your pretty, pink photos look classy. If you want a mix of hues in your photos, you could also head outside to include some of the greenery, blue shade, and flowers! The sweetness in the cafe doesn’t just stop at the decorations – the desserts on the menu are as delightful as well. With their signature Unicorn Bubble Tea and colourful shaved ice desserts, the entire cafe atmosphere is 100% happy and uplifting! If you’re an indie music lover, you’ll love Slope Motion Studio & Cafe. Live music performances are held at the cafe regularly, so you can jam to the best beats while having a latte! The chill vibes here complements the coffee well, and the ambience is made even better at night when the place is lit up beautifully by a campfire and hanging lights. Listening to music on the grassy porch is definitely a one-of-a-kind experience as if you’re attending a live concert – minus the crowd, heat, and noise! Just sit back, relax, and enjoy your favourite cuppa in the cosy atmosphere. This will definitely make for a memorable night in Chiang Mai. You wouldn’t want to miss out on the cinnamon rolls here – they’re highly recommended by past patrons! Immerse yourself in your favourite bedtime stories in this fairytale-themed cafe! Into The Woods has brought our favourite classic fairytale scenes to life with its wall mural. There’s Little Red Riding Hood in the forest, Hansel and Gretel’s magical gingerbread house, and Cinderella’s glass slipper in the corner! Frolic around the ‘forest’ in the cafe and take some photos with the photogenic backdrops, or simply grab a book from the library corner – and jump right back into the wonderful fantasy tales. Ever wondered how the iconic sweet treats in the stories tasted? Try those ginger cookies and colourful cream rolls for yourself here! Pick up a marker and start doodling away on any empty space you can find on the walls! Yup, we promise you, you won’t get in any trouble for doing that here. At Bart Coffee, the owner even provides you with the markers to let you do just that! Perfect for those who just want to hole up alone and read a book, Bart Coffee can also be a place for you and your friends to have fun while leaving your scribbles on the walls and ledges. With a friendly smile, the owner whips up a mean cup of coffee using single-origin locally sourced coffee beans that has a natural complex flavour. If you’re unsure of what to order, try their signature Dirty Mocha that has all his patrons raving about it! Found in Chiang Mai’s trendiest street, RK Cafe has a cool shop front with an old vintage Vespa while Thai brand, Rubber Killer Flagship store, sells all kinds of fashionable bags and accessories made from discarded rubber tyres at the back. Defining modern environmentalism, RK Cafe by Omnia offers a unique experience for visitors with its chill vintage vibes and minimalist hipster offerings – perfect for those looking for a statement piece that speaks of their love for the environment! Take some time off to enjoy your coffee, take photos, and shop around the store. You never know if you would find a little something to bring back home! Talking to a stranger in the cafe sounds awkward, but at The Meeting Room Art Cafe, creative souls can easily break the ice by chit-chatting about the different art pieces on display – a great way to meet like-minded friends! Don’t be surprised if you can’t find the art piece you spotted last month too, since the cafe refreshes the works on display every month to allow for new local artists to feature their work. Those who can’t take spicy Thai food will rejoice for the fact that the menu offers Western dishes like paninis, salads, and homemade cakes. Of course, when you’re done exploring all the exhibits, feel free to head over to the bookshelf and pick a comfortable spot to have a relaxing read by yourself! At Kradas Cafe, they take the usual origami art up a notch by creating gigantic paper crafts up to the average size of a human! The place is perfect for a high-tea session in the afternoons, taking photos with all the creative paper decorations and Instagram-worthy desserts. The cute paper decorations make for interesting photo props with their unique texture and appearance. Foodwise, all the desserts here are made to satisfy your sweet tooth cravings – so go ahead and indulge yourself in the highly recommended coconut crepe and cake, which comes with generous portions of cream and coconut fillings! 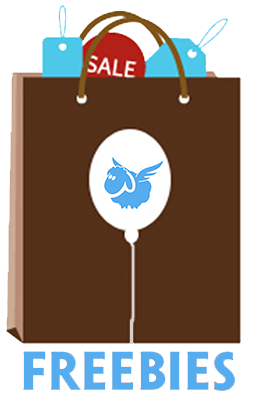 Check out the paper huskies, owls, and unicorns for sale at the store if you want to bring back a special keepsake! It’ll make the perfect gift for your nephew/niece. TripCanvas Tip: Head down on the weekdays instead to avoid the crowds! Checkered walls, cherry red booth seats, and gingham table mats, Butter is Better Bakery & Restaurant will transport you back to the ‘70s with its unique decor! Pose like Elvis Presley, or recreate your favourite scenes from The Archie Comics with the squad – it’s your chance to jump back into full retro swing and have fun. While this American diner serves a lunch menu as well, the real star of the show is the amazing gluten-free breakfast menu with items like toast, pancakes, waffles, and omelettes. For the drinks, give their strawberry milkshake a try, it’s made from their homemade strawberry frozen yoghurt. Savour a good old American breakfast, and get inspired by the pop art posters plastered all around the diner! Personally, I’ve never thought that a giraffe-themed cafe could exist. Sure there are dog cafes, cat cafes, and all sorts of animal cafes out there, but it’s hard to bring a giraffe cafe to life when it’s impossible to bring the tall-necked creatures into a room. Nevertheless, Skati Island has managed to solve that problem by letting every patron have fun, and don a giraffe hat to celebrate their love for the beloved animal! Over here, you’ll always see the staff wearing bright smiles and dressed in their quirky giraffe hats, making your food and drinks fresh right in front of you. One of the cutest concepts we have seen, the menu here also conveys the same bright, happy vibes with tropical iced desserts, fruity drinks, and the cheesiest sandwiches (hello, Instagram-worthy cheese pull!). Don’t forget to bring your friends down so that everyone can dress up as giraffes and take a bunch of hilarious and candid photos! Way before sustainable living started being a thing (thankfully), Free Bird Cafe has been doing their part for the environment by providing vegetarian options (now completely vegan!) and reducing waste. Operating since 2009, the cafe is actually a social enterprise where 100% of its proceeds go to helping Burmese refugees settle into their new lives. Want to give a hand as well? Shop around the zero waste store in the cafe! The preloved items (there’s colouring books, vintage scarfs, and more) in the store come with a cheaper price tag, and encourages the recycling movement. What a great way to help people pick up environmentally-friendly shopping habits! Moving on to the food, the healthy menu consists of a wide variety of dishes, including Thai and Burmese food. The tea leaf salad here is famous for its unique taste and texture, so don’t leave without trying it. There’s no place on Earth like Grandma’s place, endless mountains of fresh cookies and cakes, and the comforting feeling of being right at home. At Cozy Coffee & Bistro, you can unwind from your hectic schedule and go back to your carefree childhood days while polishing off homemade sweet treats! This sweet American cottage-themed cafe looks like it came right out of a movie from the ‘50s, bringing along with it a homely and – as its name implies – cosy feeling. Relax on the porch under the trees or sip some tea in the indoor space decorated with sweet, floral wallpapers and pink curtains – both great places for you to savour a little afternoon snack. Now that we’re talking about the food, their all-day breakfast has won the hearts of many patrons, and is definitely worth trying! You could pair it with their coffee that has also got many visitors returning for another cup! Found the perfect cafe(s) to add to your Chiang Mai itinerary? Don’t forget to tag your friends to let them know which one is your favourite! 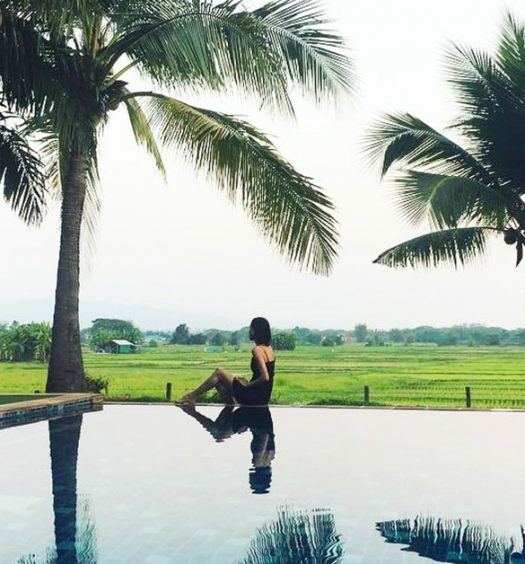 15 Boutique hotels in Lampang that will complete your trip!